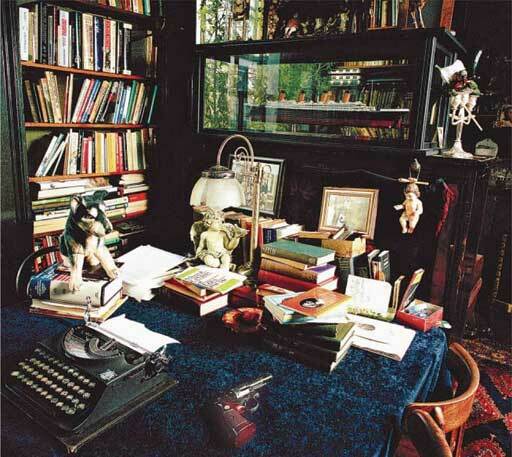 Workspace of Beryl Bainbridge, from the Guardian. As a writer, city dweller, and general nerd, I love the idea of functional walls. My favorite functional wall is a bookshelf, but running a close second are walls that function as writing surfaces. 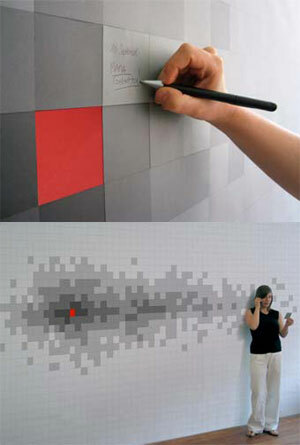 As you use the post-its, a pixelated pattern emerges on the wall. Needless to say, I loved the design immediately; unfortunately, it’s only a conceptual creation at this point, and not available for purchase. 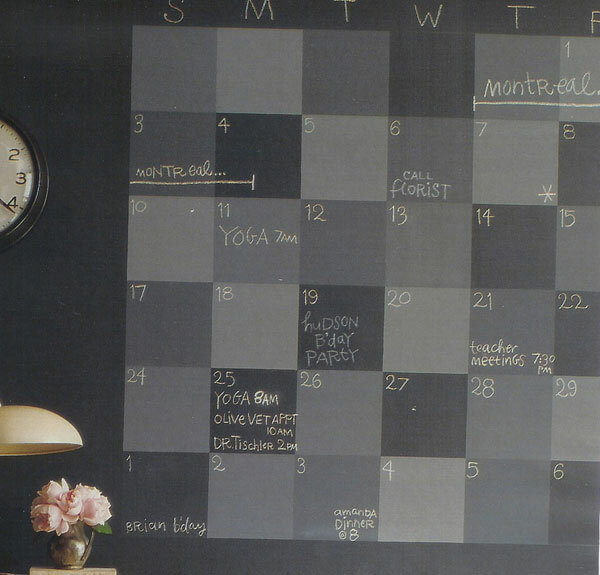 So I was delighted when, thumbing through this month’s Martha Stewart Living, I found this DIY chalkboard calendar (below). I was struck by the visual & functional similarity to the Pixelnotes paper. In fact, I like the chalkboard even better, since it can be reused. You can also vary the placement, size of individual squares, & colors for something more artistic or abstract. All you need is some black chalkboard paint, homemade white chalkboard paint, tape, and a brush. The full how-to explanation is available on MSL’s website, and also in the January issue of MSL (pages 130-134). PopBetty is the personal site of an Atlanta-based writer who loves books, travel, nonprofits, and all things digital. It is currently on hiatus. PopBetty is monetized with banner ads and affiliate links. If you click on an affiliate link and make a purchase, then we may make a commission from that purchase. That said, all posts and recommendations reflect our genuine interests and feelings about products. We do not offer sponsored posts or allow third parties any editorial control over site content.